If you’re like me when you go to the field, the gun range or when traveling you like to be prepared, at least I hope you do. I am always on the lookout for new and innovative products that relate to preparedness. This year at the 2019 SHOT Show I stopped by to visit the folks at Adventure Medical. Long known for providing medical kits and related gear for the survival minded person. –Quikclot Gauze, designed to stop bleeding up to five times faster than just straight gauze because of its hemostatic properties. The US Military issues comparable Quikclot Gauze in Individual First Aid Kits (IFAK) to its soldiers. 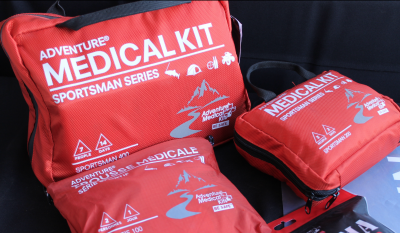 The post SHOT Show 2019: Adventure Medical Kits appeared first on OutdoorHub.